Yep, you can buy waterproof pouches and "drybags" at your local outdoor retailer. They're made of super lightweight, fancy-pants fabrics that really do keep your stuff dry. And they're super expensive. These DIY pouches can help protect smaller items for long term storage. 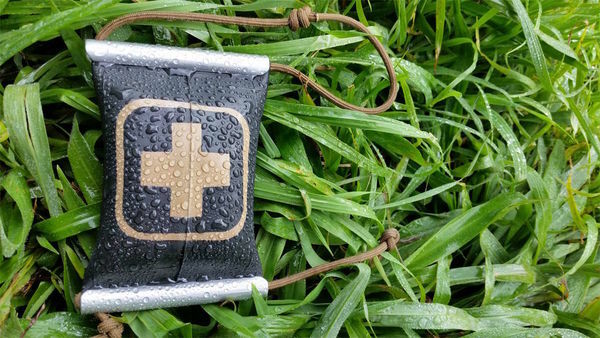 Use your scrim-reinforced vinyl options to stash your high value items for a kayak or rafting trip temporarily, and make your own little custom pouches to keep the goods inside, and the moisture out. As a man, I fully endorse candles. If you look beyond the Yankees and Bath and Body scents you can really find some invigorating scents. My personal favorites smell like camp fires, tobacco and patchouli. 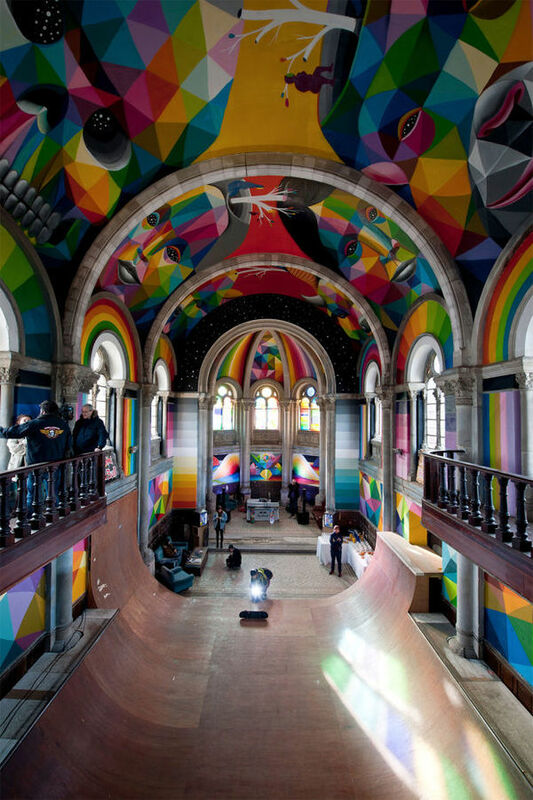 Behold Kaos Temple, the new collaboration between artist Okuda San Miguel and Red Bull to renovate this 100 year old church into a super cool skate park. The design overhaul including all of the ramps and paintings were completed in the course of 7 days (working 12 hour days) and it was inaugurated by professional skater Danny Leon. 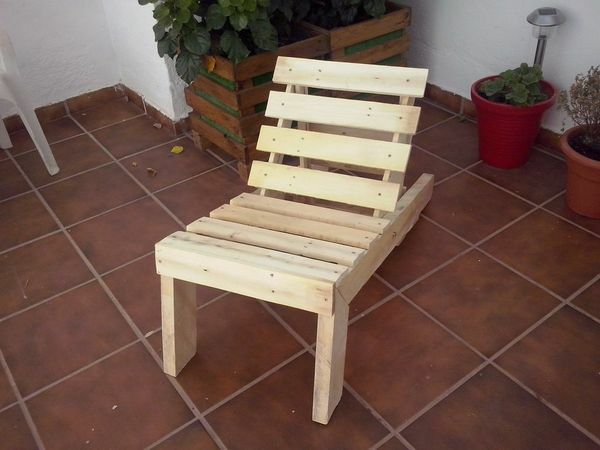 Furniture made from pallets is always awesome in theory but I've definitely sat on some rickety and scratchy attempts that never really turned out the right way. So with that out of the way, I'll say that it looks nearly impossible to go wrong with this one. It's simple, sturdy, and has a limited number of steps. In case you've never looked into it, a set of steak knives is, like, super expensive. Even a reasonably priced, high-quality set, like these six rosewood-handled knives from Victorinox, will set you back $130. Which, to be fair, works out to about $22 a piece, but, c'mon, if you were gonna spend $130 on some knives, would you really want to get a speciality tool you'll only you five or six times a year when you cook up some serious protein for guests? 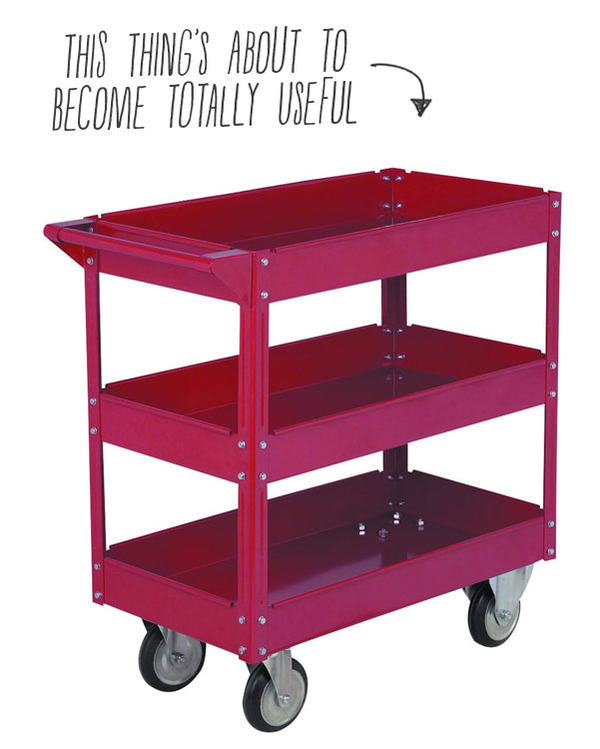 My buddy and colleague Timothy spied this great video tutorial for turning this affordable three-level tool cart into a full-on organization system for all of your tools. Looking for a clever way to use up all that scrap wood? Here's a side table project that will turn that cluttered lumber pile into something useful. Quick and easy pocket hole joinery make it a project that's done in an afternoon. One of the best Industrial tables I've seen comes from an old recycled wire spool. Here's a great DIY on making one yourself. 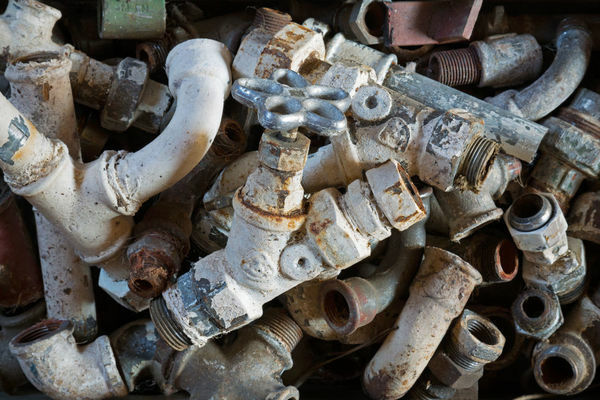 Have some old glass Insulators sitting around? This DIY project turns them into a great hanging pendant light for a stylish second life. We love a good furniture makeover, but we're even more excited by repurposing totally unrelated objects into practical items you can use in the home. ManMade reader Braden sent us a picture on Instagram with a "Hey, I think you'll like this project." Well, we did, so we asked Braden to walk us through it. Here's what he had to say. I may be behind the curve on this one, but I had no idea how easy cutting glass was if you have the proper tools (which are also surprisingly cheap). Ben Uyeda at Homemade-Modern.com posted this tutorial on how to make some streamlined desktop planters out of old wine bottles. Sometimes the traditional definition of a home just falls a bit short. These buses were converted into homes that move easily and fit in just about everywhere you want to be. One of the most dramatic finishing effects is burning wood to bring out the grain. Here's a quick and fast project that highlights this distinctive technique. It's getting to be a balmy 25 degrees in my neck of the woods. I can't help but think of warmer days and summer activities. Here's a really unique project that turns an old suitcase into the ultimate picnic wingman. We all have a space crowded with charging cables, and the inevitable accessories that accompany our tech. this easy to make charging station allows for clean and easy access without the clutter.